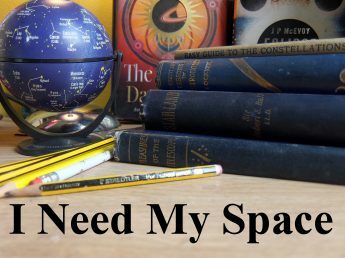 February observations | I Need my Space! Damn, it’s cold. I’ve just been out to the White Ladies (a spot outside Wolverhampton where I go for small telescope/binocular observations), and it nearly froze my fingers off! I managed some binocular observations with some Olympus 8X40 bins, and despite the 3/4 full Moon very high in the sky, M31 – The Andromeda Galaxy was found easily and appeared quite bright. The Square of Pegasus was below the horizon, so I had to look instinctively, as I find the Andromeda constellation a tough one to recognise. Praesepe – M44 The Beehive Cluster is one of those objects that perhaps looks best in binoculars. The pretty swarm of stars sitting inside a triangle of brighter stars, I’ll try this in the 4″ reflector next time I’m out there. Tonight, it was minus 1.5 on the van thermostat, and I wasn’t hanging around. But I did enjoy The Pleiades and Hyades, and with the belt of Orion in the same field of view as M42, the famous nebula was easily visible. I’m really trying to make the most of the clear evenings with these winter constellations. The best view of the great nebula in Orion this month, unsurprisingly, came from the 12″ Dobsonian mounted reflector I’m looking after. The structure on the outer edges of the nebula was more pronounced than I’d seen for years, and had I not been at a public viewing evening, I’d have liked to have made a sketch. I’ve also enjoyed views of M42 from my little 4″ Skywatcher, and from a refractor telescope (I think 3 or 4 inch) at a public observation session, where the gas cloud seemed surprisingly bright. I’m always interested in looking through a refractor whenever there as telescopes gathered together for asession, having never owned one myself. As far as nebulae go, M42 is certainly the showpiece of the winter skies. The 4″ Heritage Skywatcher has proved to be loads of fun. I set it up on a photography tripod on Friday, and found it very easy to use, and the red dot viewfinder I like too. The double cluster in Perseus looked very nice in the 4″. I do note that I’ve shown people this recently at Astronomy meetings and they’ve been a little underwhelmed, with some people unable to even see the two clusters. I wonder if this is an object that you can only appreciate with ‘astronomers eyes’? Tonight I looked through the 8X40’s all across the ‘river of stars’ (as I call it) that is Perseus, and thought again how it is one of the prettiest constellations, with the double cluster being the jewel in the crown, just before you reach Cassiopeia on your tour of the sky. Why Messier didn’t give these two clusters an M number I don’t know. They’re classified NGC 869 and NGC 884. I visited the Space Centre in Leicester this Thursday, and by 5pm the waxing Moon was fabulously high in the sky. I took this photo with the 4″ Skywatcher perched on the bonnet of the van in the car park. I’m amazed – and pleased – with the clarity of the shots. I can’t say enough about that little 4″ scope. It really is a jewel. ← Constellations, the Moon and telescopes.